It must be tough being Mario’s little brother. He steals the spotlight every chance that he gets. Just think about it for a second. His name is on most of Nintendo’s games. It’s always Super Mario Bros, Mario Party, Paper Mario and, of course, Mario Kart. Mario, Mario, Mario! What about the other brother? What about Luigi? He’s a capable tennis player, so why doesn’t he get the spotlight for tennis? And as far as Karting goes… please. We all know Luigi is the superior brother when it comes to racing go-karts. The game SHOULD be called Super Luigi Kart… which brings us to the next topic. If you want to be the ACTUAL best racer in the Super Mario Kart, then you should be dressing up like Luigi. And you should definitely be racing in Luigi’s Standard Kart from Mario Kart 8. This officially licensed Mario Kart Luigi adult ride-in helps you transform into the fast-racing Nintendo character. 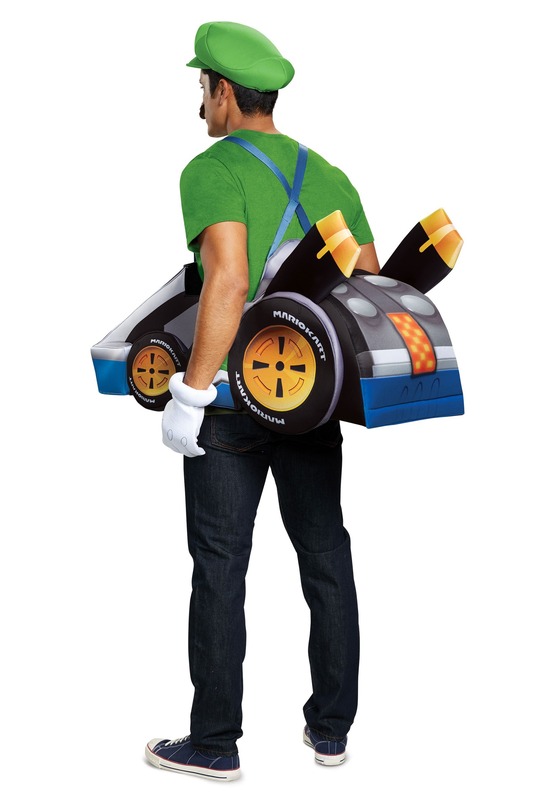 The kart is made out of a foam material and has plenty of printed details on exterior, including wheels, a Mario Kart logo and tons of green color to complement Luigi’s signature green color scheme. It fits with a pair of straps that fit around your shoulders and you can wear any outfit on underneath of it. 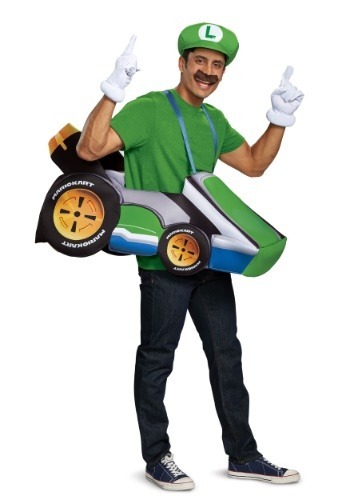 For a quick and easy costume, just put on your best green shirt and a matching cap to enter into the world of Mario Karting. Once you have this ride-in kart, you might just feel the urge to hit the tracks! Be sure to check out our Mario and Princess Peach karts to make sure you have a little competition, and, of course, try to make sure to keep an eye out for any turtle shells that might come your way!